Advertising and marketing are pillars of success for any firm operating in any kind of business whether it is offering services or products. Adverts and commercials helps to communicate with the customer and let them know about specifications of the product, store locations, discount offers and other kind of deals which can attract the customers and create an increase in the sales for the company. A new form of advertising is quite popular these days known as elevator promotional marketing ads which are basically advertising in elevators and lifts. Elevator adverts are considered to be extremely impactful as they grab the attention of the customer for enough time to convey about product or offer without much distraction. Advertising in elevators, targets the specific kind of customer base which is the potential or existing set of consumer for the products company wants to sell to such audience. As elevators are in popular places such as malls, business offices and residential complexes it is more likely that the ads will be viewed more than once hence increasing the frequency manifold. Advertising in an elevator is very versatile, it can be as simple as text or a poster and as large scale as a complete elevator wrap. The creativity is not bound by just the four walls of an elevator, it is unlimited. Many experts of advertising call elevator advertising as captivate elevator advertising as it captivates the attention of the customer in the four walls where the customer do not have any distraction and cannot escape the sight of the advert. 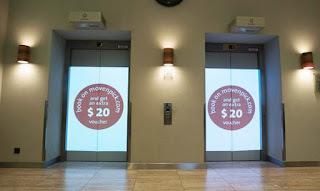 Moreover, digital advertising within an elevator, if implemented, can change the appearance of advertising outside the home. It will not only affect the people who see the ads, but also the advertisers, who will benefit from this in many ways. For example,in a residential building, residents or visitors become a captive audience for digital elevators when entering an elevator. That means that a person will be exposed to the ads many times a day. No other medium can offer the level of repetitive exposure that digital advertising can give in an elevator. A resident, shopper in a mall or an employee uses the elevator on an average 4 times a day which increase their exposure to the ads in the lift and leave a long lasting impact on consumers. An elevator ride lasts from 30-80 seconds and is an ideal time to advertise and whole of this time customer have no distraction and it is very hard to avoid the ad in such enclosed space. The time spent in an elevator is exclusive-there are no external factors to distract which puts all the attention of potential or existing customer towards the advert. 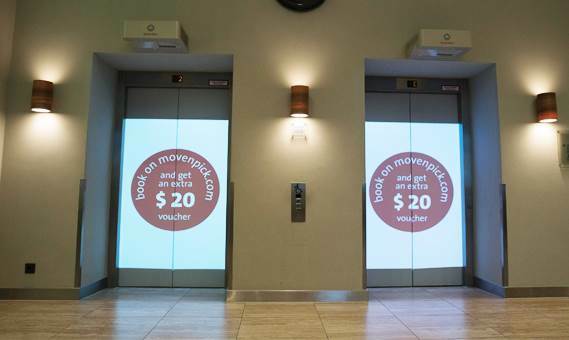 Creativity has no bounds for elevator promotional marketing ads assuch campaigns attract the attention of the user and create a higher retention of the brand in memory of the consumer which becomes difficult to forget.